Hello! Well, it’s Ash Wednesday and that means one thing: Lent. Ready? Me neither, but here we go! I am determined to help my children understand Lent and the Passion a little bit better this year, even though they are still quite young. 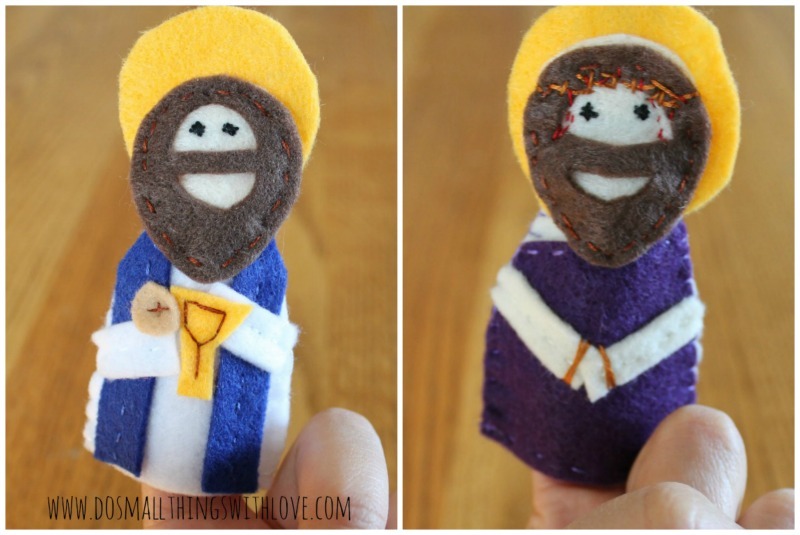 To this end, I have have been working hard on what I am excited to be sharing with you today: 13 Lenten Finger Puppets. It is my hope that allowing my children to play with these puppets they can come to understand the important things said and done by each person, and the message we can learn in each case. I have set this up as a create-along. 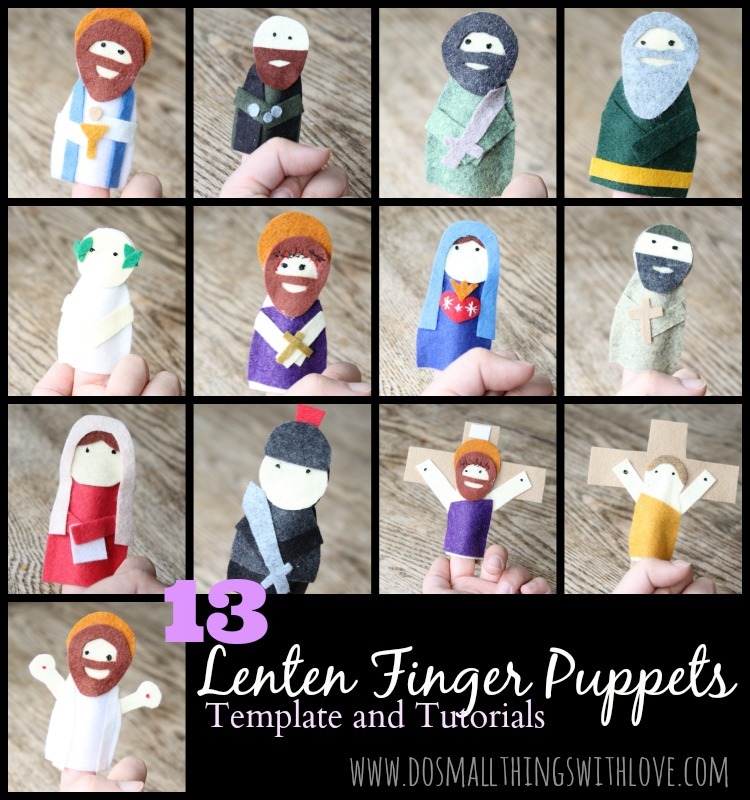 Each day I will share another Lenten Finger Puppet complete with a template, tutorial and brief reflection. It is my hope that you, or your child, can make this a daily activity and in the end you will have a complete set ready to teach children. All of the templates are completely free, my only hope is that they are put to good use! Since the puppets are generally made in the same way, I am using this first post as a place for general instructions. As you work, please refer back here for detailed instructions and tips. Supplies–These are felt finger puppets. Since I work with felt often, and have a large supply, I used wool felt. This is more expensive, and crafting felt, bought at a place like Walmart, will work well too. 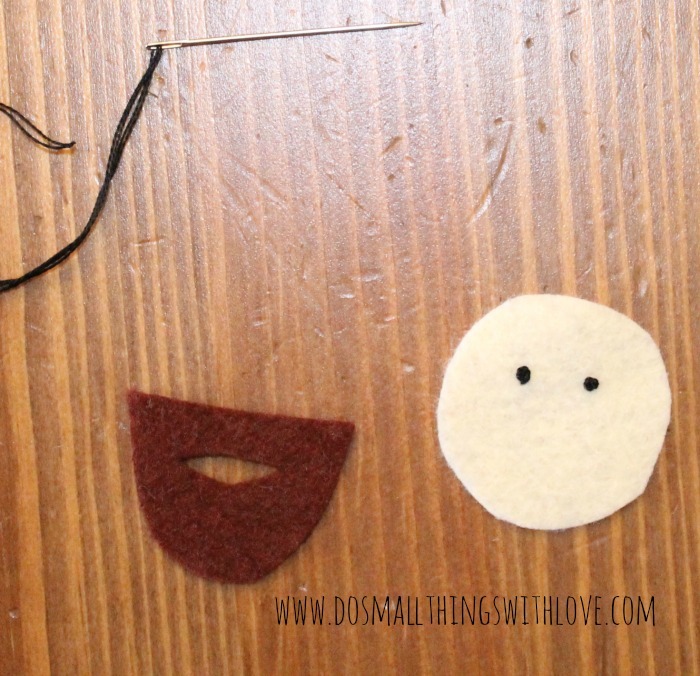 I have a few examples of the puppets made in crafting felt at the bottom of this post. Beyond felt you will also need clear packing tape (for cutting out pieces), embroidery thread and needle, a glue ( I used Fabric Tac) and a sharp pair of scissors. Using Templates–I have created a unique template for each puppet. These are free to you and will download in a PDF format. Once you have it, simply print it on regular paper, cut out the pieces and use! Cutting—Once you have the template and supplies it’s time to get cutting that felt. This is where the packing tape comes in. It is really difficult to cut out small detailed pieces out of felt, unless you use clear tape. For this method, simply cut out the template piece, cut out a piece of felt roughly bigger then the template, and tape the template down to the felt. Then, cut. This will hold the template piece in place, without the buckling that will happen if you use pins. Cutting Beards—The one time you might not want to use the templates for is cutting beards, and there are a lot of bearded fellows in this collection! Instead, use the template to cut out the general shape and then, fold the felt in half and free-hand cut out the holes for eyes and mouth. 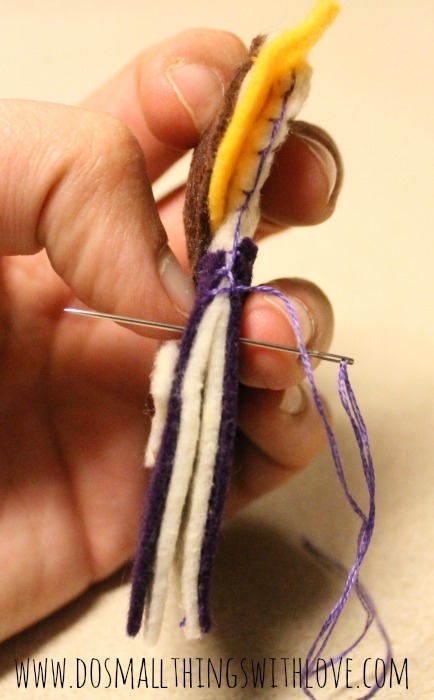 Creating Eyes—There are several ways to give your puppets eyes. Since I am a stitcher I used French Knots (here is a great video tutorial for French Knots), but you can also make eyes our of black beads, fabric paint, or black Sharpie Markers. Your choice. General Assembly–Since I used glue the assembly is quite easy. Once the eyes and special stitched on details are done, glue the smaller pieces like the beards, robes, chalices, etc onto one of the body pieces. Then all of those pieces are in place, then take the back body piece and draw a thin line of glue around the edge on what will be the inside of the puppet. Try to stay as close the edge as possible, and make sure to leave the bottom open. Then, press the two pieces together and allow to dry. I really recommend using as quick-drying glue! A Word on Stitching VS Gluing–I like to stitch (see here), but didn’t have the time to stitch up all these puppets. In the tutorials to follow I add a few stitching details where needed, but I generally used glue, and am happy with the result. If, however, you would prefer to stitch, here are a few simple instructions. 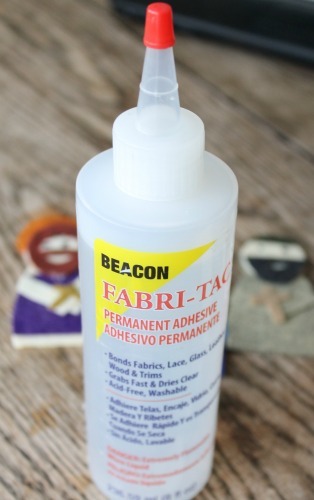 Attach on Robes, Beards, etc with a running stitch in matching thread. To attach the front and back pieces use a blanket stitch, as pictured above. Reflections–for each puppet I have included a simple reflection that focuses on what this person said, did and what simple lessons we might learn from this. These are basic and certainly not something you have to use. I hoped only to give you a place to start while using these puppets. Annnnnd, there you have it! Please, let me know if you have any questions, and I’d love to hear about how you have decided to use your puppets once they are made. Thank you so much for your amazing website! I’m a CCD teacher at our local church and could really use your puppets to teach the class. Hi Nancy, where can we find the reflections? I can not wait to show my kids! I might be missing something, but can you show me where the link is for your simple reflections for the puppets? I don’t see it on the post. Thanks! I’m excited to make these for my kids! I might be missing something, but can you show me where the link is for your simple reflections for each puppet? Thanks! Thank you so much for this! My 8 yr old son wanted a craft to do and chose this one..It was a large undertaking, but he cut all of the patterns and most of the felt(some sisters helped), then I hot glued them together. They came out great! Thanks for the tip about taping the patterns to the felt! That was a life saver! My kids will be having a blast with these tomorrow! thanks for letting me know! I’ll be sure to do that! This is such an awesome idea and I’m so glad you shared it on the 40 Days of Seeking Him meme a few weeks back. I’m thinking these will be fantastic for teaching the faith throughout the year. Hi Nancy…just shared your index image with a link today on a new post. Hope you like it! Monica recently posted…First Reconciliation Prep or Refresher: Either Way, A Great Little Book about Confession! Great! Thanks for all your support, Monica! These finger puppets are adorable! Thank you for sharing. Many families can benefit from your tutorial. Selling them…now there is an interesting thought. Thanks for being here! Awww, these are so cute! Wish I had known about this when I was teaching Kindergarten! Spreading the love and stopping in from the link up! These are awesome I must say! I am certainly going to pin this so that next year my middle daughter can practice her sewing skills (while learning more in depth about each character) and then we can use them to help teach our youngest! How wonderfully creative! This is such a wonderful idea, Nancy! Thanks, Kara. My kids are really getting into playing with them! I love this!! I am doing this for my Primary kids and their lessons!! Also for my daughter to play with during sacrament! Love it, and thank you so much for sharing! that’s a great idea, bringing them to mass! I hope they work out for you! You are speaking my language. =) I love felt crafts and I love your finger puppets! 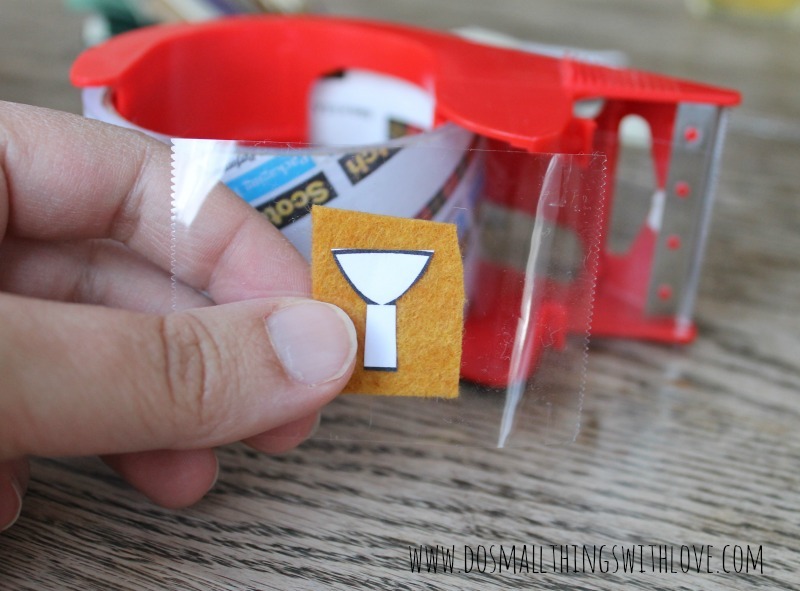 I love your tip about using the packing tape to cut the small pieces and I love that glue is an option. Ooh, I really want to make these! I hope it’s ok that I start spreading this post e v e r y w h e r e !! Please, please! Share everywhere! 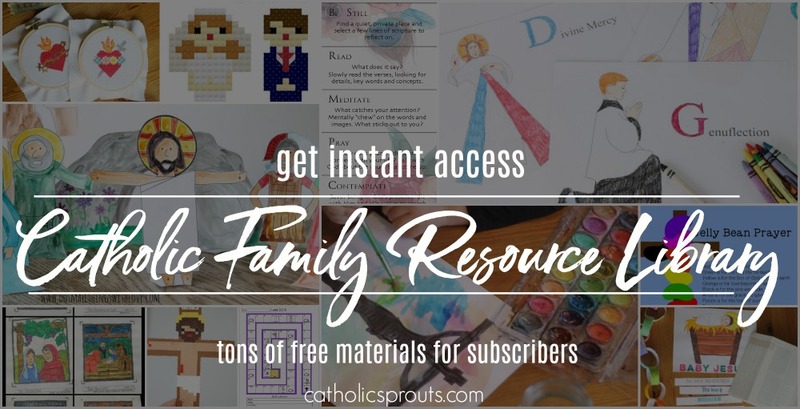 I did all of this work so that Catholic Moms everywhere could make these for their little ones! totally agree about how Christmas is easier to teach to the young than lent. I hope you have a chance to make these for your little ones and that they serve your family well!